Smart Choice | Giving independent insurance agents the freedom they need to succeed! Smart Choice is a network of over 7,000 independent agencies and more than 100 carriers. Collectively our agency partners represent more than $5 billion in written premium. 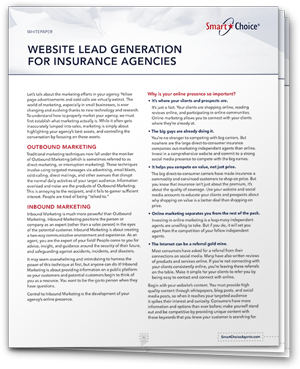 We provide independent insurance agents with access to top-rated markets, product training, and sales and marketing support-and we're the only no-fee program of our kind. Smart Choice was launched in 1994 with a handful of dedicated agents in North Carolina. Smart Choice has grown to help thousands of agencies across the country and is supported by not only the top “Blue Chip” companies in our industry, but also by strong regional carriers in each state.